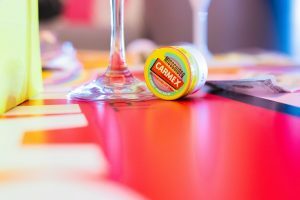 Now we all love a good partnership and when Carmex and Missguided decided to do a collaboration I was overjoyed. Carmex is my leading lip brand for keeping my lips nourished in these winter months. 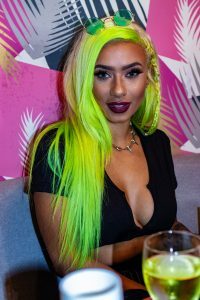 Missguided is the go to for fashion so when we headed over to the launch party at Rascals in buzzing Shoreditch I knew it was going to be a good night. The outside display as I approach the building is making me smile as I can see rainbows and bright colours. As a photographer there is always something that catches the eye and this was no exception. As we entered the building the music was playing courtesy of the great female DJ’s there (Nadia Jae, @itsnadiajae) the drinks were flowing and there were influencers, Jourdan Riane (@Jourdanriane) Jade Laurice (@JadeLaurice) and Hayley Palmer (Radio DJ) all dressed to impress and ready to enjoy the highlights of the evening. 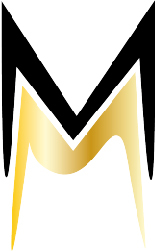 Rainbow coloured Design? Yes Please! The first room we entered had goodie bags and make up stations to sit at. 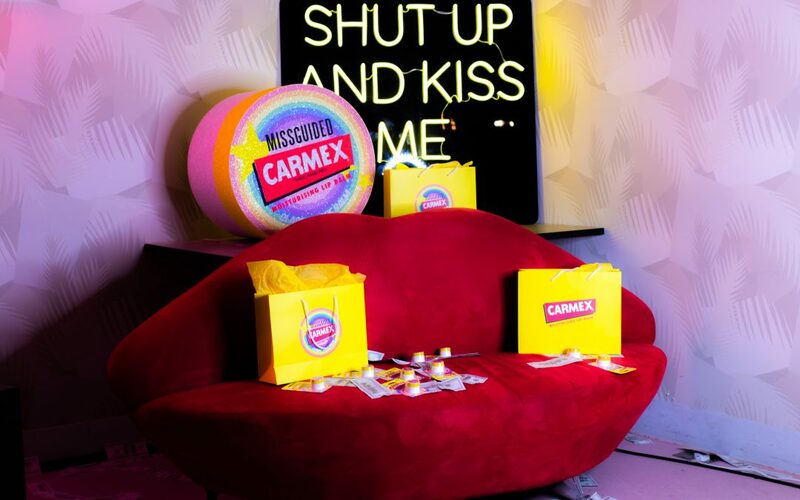 There were dedicated girls on each station nourishing your lips with Carmex before giving you an Ombre lip. This is where we discovered two Carmex flavours that I didn’t know existed, Peach and Mango Burst or the other Pineapple and Mint flavour. After hunting around the pots that were all around the room I was kindly given a Peach and Mango Burst flavoured one to take home. Needless to say, it’s been in my bag ever since along with my Carmex x Missguided pot. I saw dollars flying through the air and my curiosity got the better of me, or maybe it was the money. Whatever it was I have had a fascination with Money Guns ever since Mariah Lynn brought out her song. Needless to say, the women were having the most fun sitting with the ring light and shooting money out for the most epic photos and boomerangs. How high can you build a Carmex Tower in 30 seconds? The event also featured a spinning decision wheel, Nini Makeup spun it for me and it landed on building a tower of Carmex tubs in 30 seconds. Unfortunately, at this point I think we had cleared out most of the Carmex so we said that we’ll have to have a catch up and do it another day. We will definitely show you what happens when she takes us on. After a few of the bespoke cocktails made for the night it was time to leave. But not before realising that Missguided are giving you 30% off when you have code from one of their special tubs. Just what you need in this holiday season to keep you dressed to impress. So, with Carmex keeping your lips nourished and Missguided giving you discount, it is going to be a great Christmas. 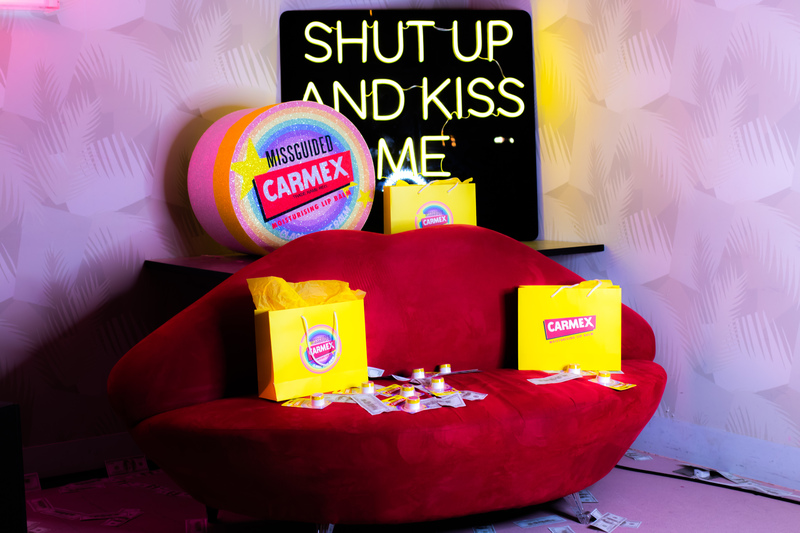 We all love a good partnership and leading lip brand Carmex and Fashion House Missguided have collaborated. Find out what happened at the launch party in Rascals, Shoreditch.